ii. The state-of-the-art surface-to-surface missile developed by the Defence Research and Development Organisation (DRDO) has a strike range of 5,000 kilometres and can carry a nuclear warhead of more than one tonne. · DRDO Chairman- Sanjay Mitra, Headquarters- New Delhi. i. India received the first-ever cargo of Liquefied Natural Gas (LNG) from Russia as New Delhi diversifies import basket to meet its vast energy needs. State-owned gas utility GAIL India Ltd will bring the shipload of LNG from Gazprom, a Russian supplier, at Petronet LNG Ltd’s import terminal in Dahej, Gujarat. ii. Petroleum and Natural Gas Minister Dharmendra Pradhan received the first consignment at the terminal. · Russia Capital- Moscow, Currency- Russian ruble, President- Vladimir Putin. i. Environment-friendly, clean and equipped with amenities of international standards for tourists, 13 Indian beaches will soon get the Blue Flag certification. These beaches of Odisha, Maharashtra and other coastal states will be the first in not just India, but in Asia, to get the Blue Flag certification. ii. The Indian beaches are being developed by the Society for Integrated Coastal Management (SICOM), an environment ministry's body working for the management of coastal areas. · The Blue Flag beach standards were established by Copenhagen-based Foundation for Environmental Education (FEE) in 1985.
i. NTPC Ltd has adopted the iconic Charminar in Hyderabad under the Swachh Iconic Places Projects of India. This is part of a special drive under the Centre’s Swachh Bharat Mission. ii. NTPC Ltd and the Greater Hyderabad Municipal Corporation (GHMC) have signed an MoU for implementation of development and beautification works under the Charminar Pedestrianization Project in Hyderabad. NTPC, in partnership with the GHMC, will take up development and beautification works at Charminar. i. The Reserve Bank of India has chosen customer protection as a theme for the Financial Literacy Week which has begun on June 4. This event ending on June 8, will focus on creating awareness among customers of banks about financial products and services, good financial practices and going digital. ii. The week will focus on four consumer protection messages like 'know your liability' for unauthorised electronic banking transaction and Good practices for a safe digital banking experience. i. 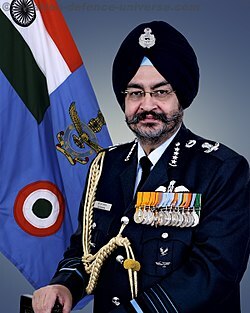 Air Chief Marshal Birender Singh Dhanoa is on a four-day visit to Brazil. He is scheduled to visit various operational and training units as well as interact with senior officials of the Brazilian Air Force. ii. The visit will give further impetus towards increasing defence co-operation and pave the way for greater interaction between the two countries. i. On June 3, 2018, the first official World Bicycle Day was celebrated. Vice-President Venkaiah Naidu flagged off a mega cycling event in New Delhi. New Delhi is one of the three cities in the world where major events are being organized to mark the day. Berlin & New York are the other two places. ii. The day is celebrated to raise awareness about the multiple societal benefits of using the bicycle for transport and leisure. The day, which is celebrated for the first time this year, was approved on 12 April 2018 as an official United Nations day. · The United Nations is an international organization founded in 24th of October 1945. · It is currently made up of 193 Member States. · The Headquarters of UN: New York, USA. · Antonio Guterres is the Secretary-General of United Nations. i. Eminent scientist S Christopher has completed his term as the chief of the Defence Research and Development Organisation (DRDO), and Defence Secretary Sanjay Mitra was given additional charge of the post. ii. Mr Christopher was in May 2015 appointed as Director General of the DRDO for a two-year term. He was then working as Distinguished Scientist and Programme Director (airborne early warning and control system) and Director, Centre for Air-Borne Systems in the DRDO. · DRDO was Established in 1980.
i. India's Sanjana Ramesh was awarded the 'Most Valuable Player' (MVP) even as compatriot Vaishnavi Yadav won the 'Girls Grit Award' on the fourth and final day of Basketball Without Borders Asia 2018, which featured 66 campers from 16 countries from the Asia-Pacific region. ii. The camp got underway with the girls championship game between the New York Liberty and the Minnesota Lynx. Coached on the sidelines by Ruth Riley and Sakshi Sheoran, the Lynx defeated the Liberty 20-13.
i. Kagiso Rabada, the world's number one Test bowler, was named South Africa's Cricketer of the Year. The award came at the end of a 12-month period during which Rabada, 23, was a consistent match-winner and subject of disciplinary hearings. ii. Rabada collected a total of six awards, including Test cricketer of the year, one-day international player of the year and players' player of the year. · South Africa Capital- Cape Town, Currency- South African rand.